There are several reasons why contractors should go with standard building materials, in particular, windowsills. It gets the job done and it costs less, leaving more capital in the business account, right? Well, maybe. Depends on how other factors in a business are efficiently operating, but we digress. It is quite true that contractors can produce a building project with sub-par windowsills and it will look clean, like a new build should. It is safe to say that every client will be happy with a new build. Who doesn’t like new things? When it comes to the business of construction, it’s going to take time to determine if a client is truly happy with the dwelling that has been built. Time will determine if that dwelling will withstand the elements, inside and out, as well as how long the ‘newness’ of the build will last. Depending on the type of building materials used, that newness can last anywhere from months to years. When it comes to wear and tear, it is often the little things that matter. Windowsills, for example are one of those intricate building materials that will need immediate attention as soon as it starts to deteriorate. Marble windowsills can be considered the eyeliner of a window. It is part of the dressing to a window as much as curtains, blinds, valences, and shutters are. Yet, it is the feature that most builders may sometimes overlook. However, should an Absolute Black Granite windowsill get installed into a 36” window, it’s no longer a regular casement. Suddenly it becomes a completely different feature that demands attention and admiration. Installing a marble windowsill can give an entire room a facelift no matter if it’s residential or industrial. Whether it’s a Crema Marfil or a Pure White Thazoz windowsill, the lustrous finish that marble has will reflect across a room like no other alternative material can. Furthermore, it’s a stone, which means it’s a lasting product that can endure the harshest temperatures inside and out. Non-porous material – Marble was created by a volcanic amount of heat. Much like a sword is heated and tempered, how marble is created can be lighted compared to it. Enough heat is applied to marble and other stones within the earth causing it to be malleable enough to even melt and recrystallize, forming a different kind of hard rock that water cannot penetrate. Therefore, it is the perfect material to use as a windowsill. Whether it is installed inside, outside, or both, the marble windowsill is tenacious enough to withstand it all. Doesn’t fade – No matter which type of color variation one chooses for a building project, one can take confidence knowing that color will last. Since marble is a type of rock that is organically formed, the color variations are also organic. 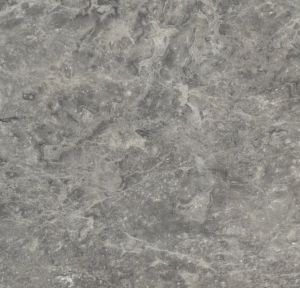 There is nothing artificial about the colors in a natural stone. No amount of sun or water exposure will wash or fade away the color. Consider the coloring from beets, pomegranate, turmeric, or grass. The color that bleeds from these organic substances is known to leave lasting stains on fabrics. It’s just something about the color of nature that’s created to last! Won’t chip – Marble is a rock. Unless there’s an unusual disaster, which usually involves an act of nature—one never knows, marble will not break once it’s installed properly. Admittedly, there have been incidences where marble can and will crack during transit. This is usually the transporter’s error in handling it improperly. It can also be based upon the grade of marble. A considerable amount of veining can increase the chances of a marble windowsill snapping. That is because the veining represents fossils that have been trapped during the recrystallization process. This would be considered the “weaker” part of a marble slab. Looks better – Even if a build has dark wood flooring, installing a contrasting Bardiglio Gray windowsill will give a room a mature, regal and masculine look that offers the warmth of a cozy winter cabin with the modern lines of city living. Versatility – Marble windows don’t have to just look good, they can also serve as a useful function within a space. As the standard length for a window can range from 36” – 74”, so can the width. With a wider windowsill—built with exquisite marble material, the windowsill can now be utilized as a shelf or if low enough a window seat. It actually doesn’t have to be used as anything at all except as an extraordinary eye-popping feature. At any rate, incorporating a marble windowsill, no matter what the color or size, is guaranteed to bring more character to a build. Don’t overlook this forgotten feature anymore. Contact Stonexchange Window Sills to get more information about the types of windowsill we have to offer. We are a wholesale distribution based in Miami, Florida that is able to offer our customers a discounted price at a bulk rate. Stop wasting money on cheap alternatives and upgrade your next building project with marble windowsills. We work with nationwide shippers to deliver deliveries and dependable service in a timely manner. Literally out-shine your competition, with lustrous marble windowsills. Give our team a call at 305-731-2400 or visit us online today!